Are you still in the dilemma of selecting right parallax scrolling WordPress themes? It is rightly said that the first impression is the last impression. Well, we are here with 5+ parallax scrolling WordPress themes. They will give your site visitors, a trouble-free web scrolling experience. You will get an innovative and refreshing look to your website with amazing features equipped with these themes. Double parallax effect, blog section & widget sidebar in these themes bring refreshing visual vibes to your web page. So select the right theme from the given list of 5+ Parallax Scrolling WordPress Themes. Garnish your every project with more attractiveness. Business Grow is a one-page, fresh and modern WordPress theme. It is designed to turn your old regular website into a new one with parallax scrolling effect. It is a multi-use theme and can fit any type of business. 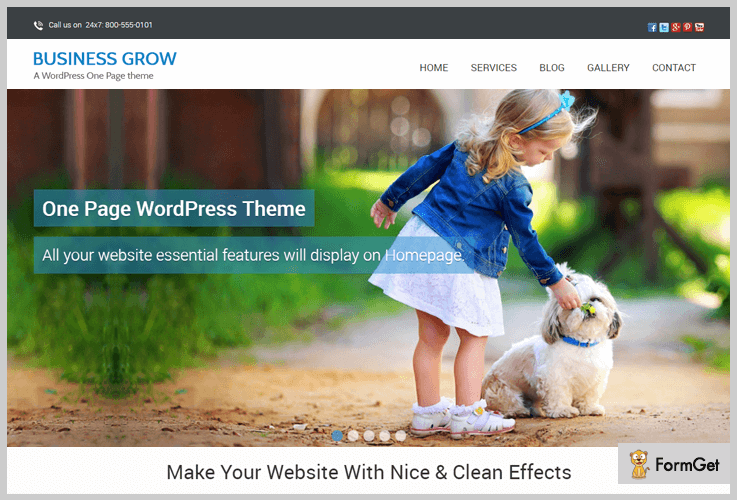 Business Grow is available at $59.00 with lifetime update & support and at $147.00 with InkThemes premium themes membership. Provides the feature of easy navigation to a particular section of menu section. Have the facility to land to different pages with the help of links in the slider. Fully integrated with Wookmark plugin. It provides proper categorization & alignment of gallery images. Provides your website better spam protection through reCAPTCHA private and public keys. Compatible with all the major browsers and devices. Thus it is a responsive theme. 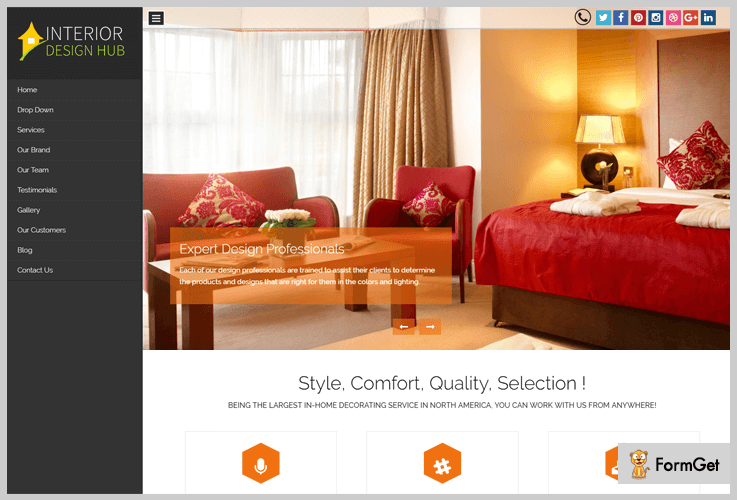 BlackWell is a simple yet dedicate one page WordPress theme which provides a new look at interior designing websites. It creates a stunning impression by showcasing almost everything on one page in an organized manner. This theme is suitable for the businesses like coffee shop, pizza shop, rental services and many more. Grab this lucrative theme at a nominal pricing plan $59. It also comes with of premium themes membership at $147.00. Comes with a feature of video section which grabs the attention of the visitors. Made shopping easy with “WooCommerce” which is used for item selection, add to cart, payment, and confirmation of their order. Provides a dynamic 3 – column feature where you can showcase any important information. The feature of parallax which gives web scrolling a wonderful experience. The sidebar is widgetized that makes things easy. Figero Pro clean, easy to use, a multipurpose theme which will help you to increase your online presence. This feature-rich theme comes with dual parallax effect which can support any and every kind of content. Visitors will get mesmerized by the modern transition effects over images, videos, gif. Moreover, it is a perfect fit for businesses like e-commerce, photography, restaurants etc. Inbuild blog section which makes your website an engaging one. Well organized WooCommerce integration which will remove the hassle of getting inside the page for shopping. You can directly shop from the homepage itself. A unique feature of breadcrumbs parallax. It displays the appealing parallax images on the top of every page on your website. Highly customizable as you can even change the color of parallax images with ease. 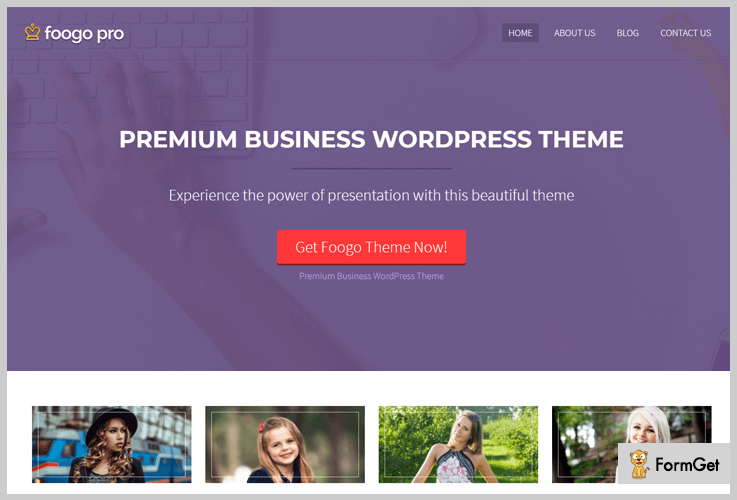 Foogo pro is a WordPress theme for bloggers or business professionals. Basically, it’s a business responsive theme. It has distant features such as – customized templates, regular product updates, ad banner space and a lot more. You can also add your business logo and tagline using numerous color schemes. With exclusive gallery slideshow, 4 column featured area and other functionalities parallax scrolling WordPress theme will cost you only $59. 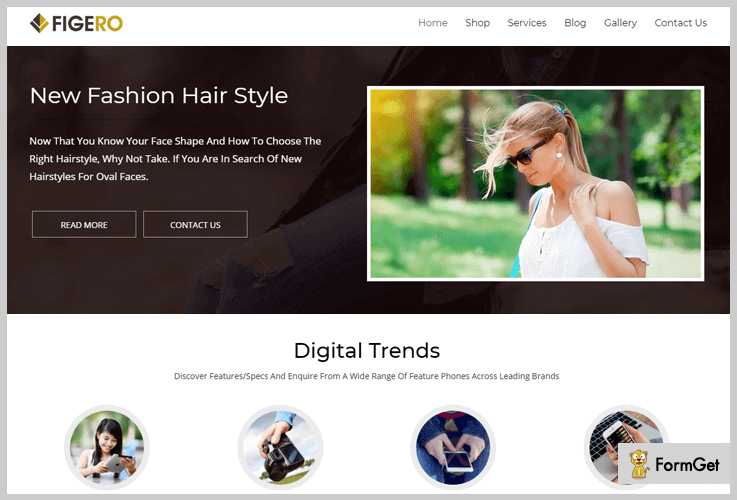 Foogo pro theme comes with widgetized homepage, ad banner space, attractive blog layout, shortcode gallery in a page, etc. Compatible with WooCommerce and all browsers, optimized for search engines at high speed. Always responsive, retina ready screen, advanced gallery layout, 4 column feature area, font library, translation ready. Moreover, in this parallax theme, you will also find – left & right sidebar options, color customizer on the frontend, homepage call to action button and more. Although it is a one-page theme, it is fully responsive, and provide almost all the required features. In this theme, you will find a 2 column featured area, a template of full-width and various customized options. In contempt of all the features like – responsiveness, compatibility, one page layout, this theme is free of cost. In this theme, you will find customized background, colors, menu, headers option. 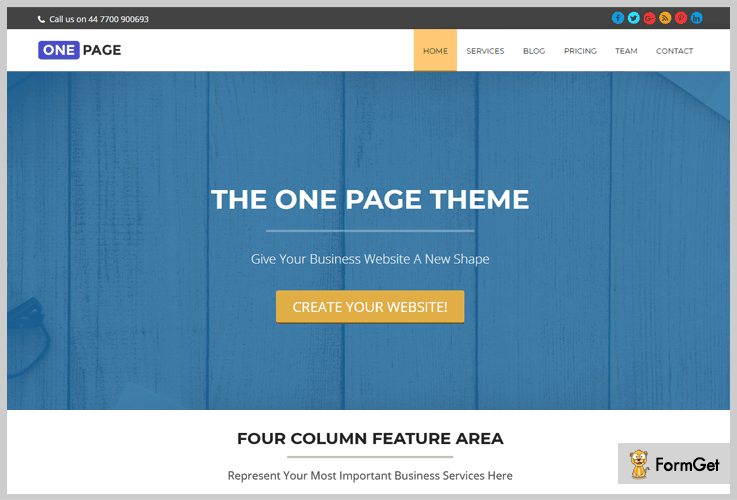 One page theme is available with sticky posts, full-width templates, many color options and more. All the comments are organized in a threaded way. You can add feature image and enhance the style of your website using editors style. Star Point is a dignified and an upscale WordPress theme which will display all your latest posts, images and blogs. 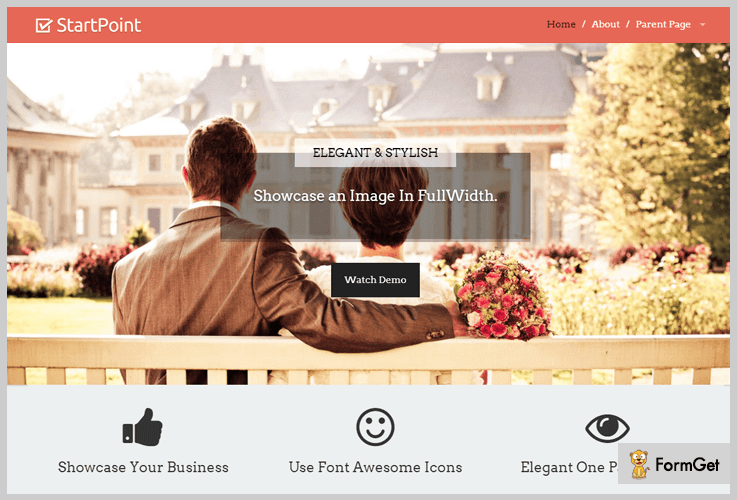 With this theme, you will have a full-width image slider, two columns, custom menu and much more. This theme is rewarded with a 4.5-star rating out of 5 which is more than good and acceptable. It has all the features and is available to all as it is free of cost. By using editor style in this particular theme you can enhance the style of your website. Within this theme, you will find a custom menu, featured images, flexible header, post formats, right sidebar, etc. In this theme, one can upload your logos, and use the theme panel option as well. Comments will get arrange automatically in an organized way. These were the 5+ parallax scrolling WordPress themes, which can be a good competitor for other business themes in the market. Choose the one which suits you best. Don’t forget to give suggestions!